When my son was just a little boy, he didn’t simply enjoy trains. He was completely obsessed with them. If we happened to be driving near one he would rattle off the names of each and every car he saw. “Tank car, tank car, hopper car, gondola car, boxcar, boxcar, boxcar, engine.” I spent most of my days down on the floor of our family room helping him construct elaborate tracks for his wooden trains and still feel proud to this day of my ability to figure out how to make everything connect without any breaks in the tracks. Heaven forbid Thomas the Tank Engine should fall off into the abyss! Never were the trains more magical to all of us than at Christmastime. So, the year that he was 3 1/2, I planned a very special day for my very special train-loving boy. I spent a little bit of time researching and discovered that all throughout our downtown there were train displays set up in various shops. And I found out that in the rotunda of our capitol building the pièce de résistance was a model train which wound its way through a replica of our city. The chosen day dawned and I informed my son that we were going on a Christmas adventure. At one stop, a kind store clerk moved furniture out of the way so that he could get right up close to the train in the window. At the post office, an employee knew a fellow train-lover when he saw one and, in between helping customers, made the train which wound its way above our heads go back and forth over and over again. Everywhere we went, people saw the wonder in the eyes of that 3-year-old boy and happily added to his excitement. After a quick stop for a sugary treat, we arrived at our final destination. 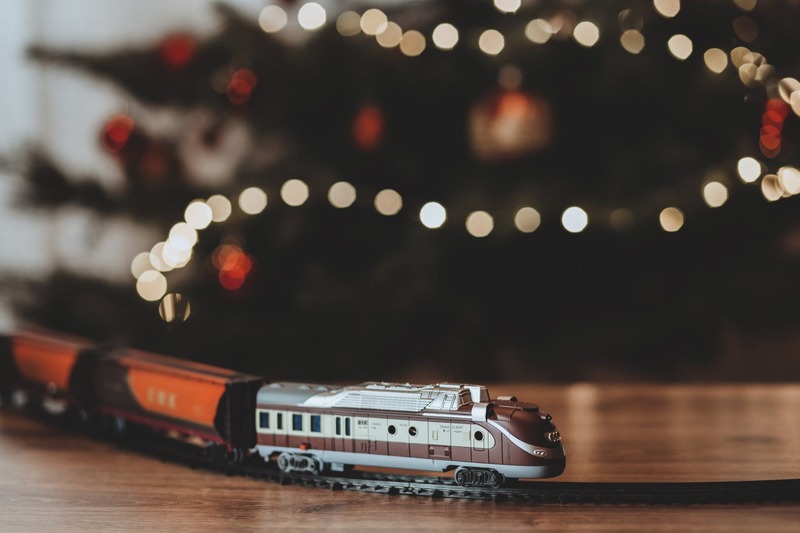 As we entered the two-story, marble covered rotunda of the capitol building with it’s enormous Christmas trees and glittering lights, my son’s eyes locked onto the train display front and center. He patiently waited his turn to push the button to make the train go around the snow-covered village and I fought back tears as I vowed to never forget that moment. Now,  years later, I ask my -year-old if he remembers that day. “Vaguely”, he says, much to my chagrin. And I realize why I instinctively knew that I needed to pause and really soak it all up. Because here we are in the throes of the tween and teen years in our household and I’m pretty sure no one would be jumping up and down with excitement over a day spent looking for train sets around town. So, what do we do now? How do we make the holiday season special for our older kids when the magic and wonder of the younger years is gone? Well, I asked this exact question on Facebook recently and received some pretty amazing responses! So I decided to put them all together in one spot and share them with you here. Keep as many of the old traditions alive as possible ~ They may roll their eyes when you suggest watching “The Polar Express” or show about the same attention to detail in decorating the tree as they did when they were toddlers (some of them still want to put ALL of the ornaments on one branch!) but I promise you that, deep down in their hearts, your teens and young adults still appreciate your family traditions. With so much change happening in their lives, these moments provide them with a sense of continuity and a reminder that some things will never change. Go on a Christmas Scavenger Hunt ~ Divide into teams and head out on a scavenger hunt which will take you around town to various landmarks. Create clues based on song lyrics and require each team to sing the song once they’ve solved the clue and video it for proof. Meet back up at a coffee shop or bakery and watch the videos together! Have a Gingerbread House Competition ~ Encourage your teens/young adults to invite some friends to your home and give each of them a gingerbread house kit. Put on music, provide the hot cocoa/coffee and watch the creativity unfold. Volunteer Together ~ This is the perfect opportunity to let the older kids in your life do some research and determine where they would like to offer their time and resources to those in need. Not only will you be helping others, but the very act of serving together will be a bonding experience for you as a family and create memories to last a lifetime. Go Christmas Light Hunting ~ Take the typical ‘driving around in the car looking at lights’ tradition up a notch by turning it into a game. Print or write out little cards with the words “thank you for lighting the town” and take them with you as you drive through the neighborhoods. Each person gets to pick out their favorite houses, run up and ring the doorbell and leave the card to surprise the homeowner with the sweet note of praise. Have an Amaryllis Bulb Race ~ Each person gets their own potted amaryllis bulb with their name on it and then the race is on to see [whose] flower is the tallest on Christmas Day. The best part of this idea is that not only is there some friendly competition but you’ll be adding beauty to your home too. Create a Family Ornament at a Ceramic Store ~ Now that you’re past the days where the very idea of going into a ceramic store with your kids made you break into a cold sweat you seize this opportunity as parents of older kids to get creative together. Pick out an ornament that represents your family and let each person take part in putting their own stamp on it. 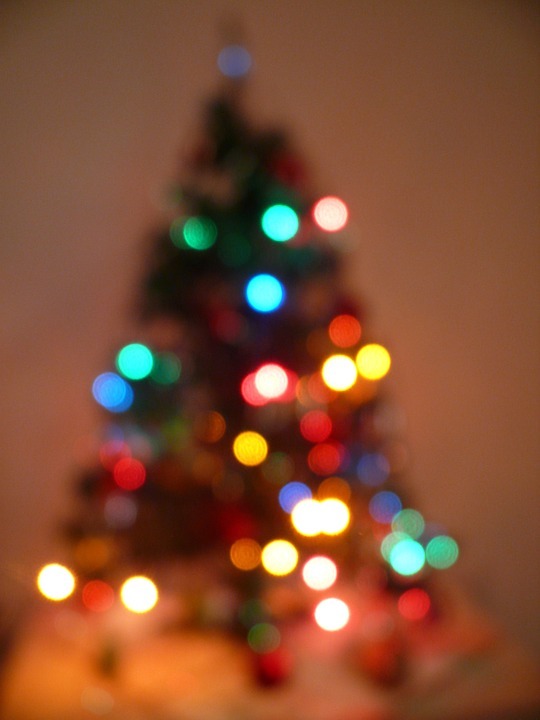 Write your names and the date on the back and try not to cry as you hang it on the tree each year. Work on a Challenging Puzzle ~ Breaks from school and work are all well and good until everyone starts getting a bit restless and the cabin fever sets in. This is when a large puzzle can become your saving grace! Pick a spot in your home where you can leave the puzzle pieces out (coffee tables are great for this!) and just watch as everyone gravitates to it. Encourage Anonymous Giving ~ While volunteering together gives you the opportunity to actually see how you are impacting others, anonymous giving builds character in an entirely different way. Not getting credit for the act is a good reminder that we serve and give not because we want credit for it but because the greatest reward is simply knowing we’ve been able to help someone and holding that feeling in our hearts. Pass the Baking/Cooking Baton ~ Now is the perfect time to give yourself a break during this busyness of the season and let your teens/young adults plan meals and tackle some of the holiday baking. Encourage them to look up recipes, do the shopping and cook/bake for the family. Not only does this help prepare them for life outside of your home but it gives you a much-needed rest. That’s a win/win for sure! Every stage of parenting has it’s really amazing parts and it’s really hard parts. I freely admit to grieving a bit over the fact that my kids have gotten older and the days of playing with train tracks and being invited to imaginary tea parties are long gone. But, one thing I’ve realized is that we need to embrace each new stage and that there is still so much fun to be had! In fact, these years ahead of us with teens and young adults leaves so much more room to experience the magic and wonder of the season in brand new ways. We can stay up later, drink coffee together, watch non-cartoon movies and get to know each other as individuals and build a relationship that goes beyond just parent/child. It’s all about choosing to be intentional and creating an environment where they know they can always just be themselves and that their friends are always welcome. So, what would YOU add to this list? 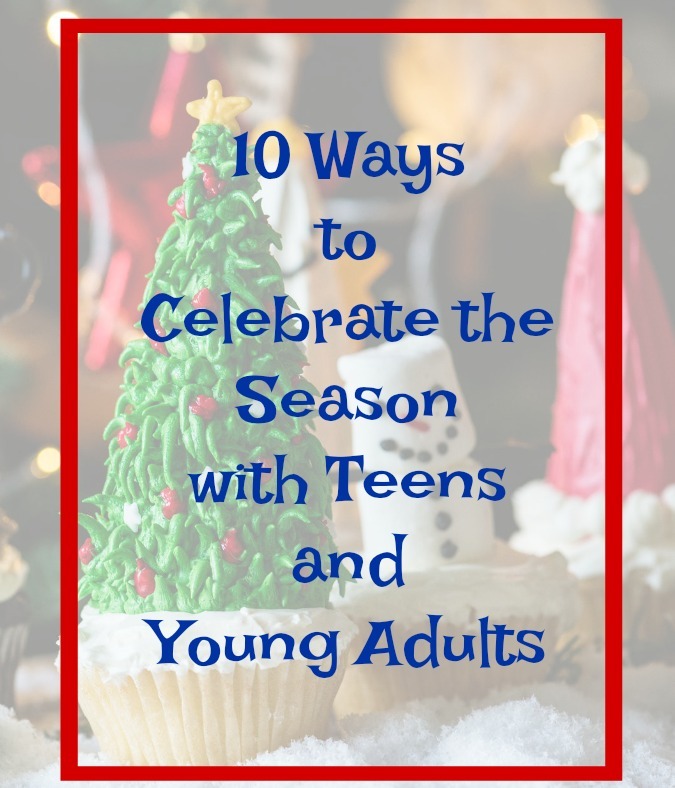 I’d love to hear some of the ways that you have celebrated the holiday season with your teens or young adults. And I want to say a BIG thank you to all of my fellow mamas who helped me come up with this list of fantastic and fun ideas! **This article was written by Vanessa Hunt and originally appeared on atthepicketfence.com.